I had another dream come true today... 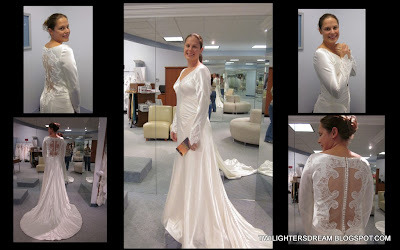 I got to try on Bella's Wedding Dress! Yay! I am so excited. It was so great! 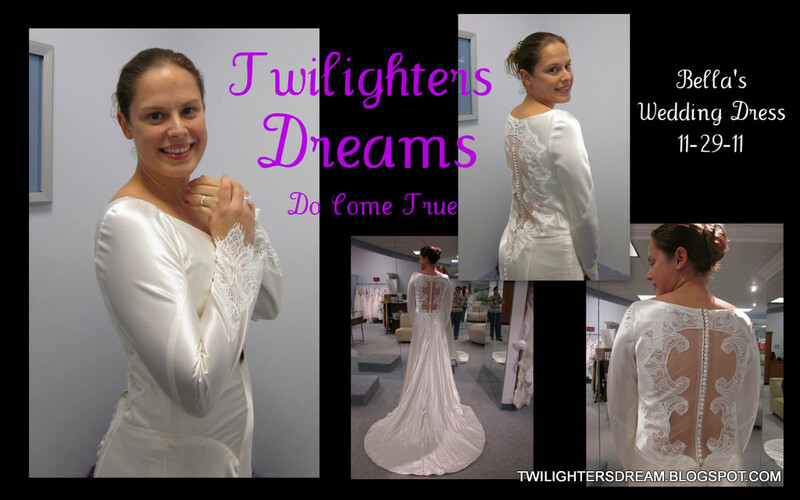 A wonderful moment for a Twilighter to wear this dress. It is absolutely gorgeous and super comfy! My best friend Gaby went with me to Alfred Angelo and we had so much fun. Not only did I want to try on Bella's dress but I would love to renew my wedding vows with my hubby and since I am a fan how perfect would it be to wear Bella's Wedding Dress! I really wanted to blog about the whole experience and post the pictures at the same time but I am just TOOOO excited and want to share all the pictures with you. I will still write a blog our twi-adventure because it's a funny story. I totally will but for now I am just posting the pictures. Check out all the pictures on Twilighters Dream. Bella's Wedding Dress can be found at Alfred Angelo. For details on the dress, click here. You can also find their new Prom 2012 Collection of Twilight Inspired Prom and Bridesmaid Dress called Romantic Vampire at Alfred Angelo. Click here for details. My Wife wore this dress in early Feb at our wedding.. we think she was the first bride to get married in it. We also had a twilight themede wedding and changed our surname to Cullen! OHMYGOSH that is fangtastic Andy!!! Congrats!!! Love all things Twilight! Yay!!! OMG THATS AWESOME - photos?